Okan Üniversitesi UBYO Spor Yönetimi Bölüm Başkanı Prof. Dr. Müslim Bakır'ın açılış konuşmasıyla başlayan konferans oldukça keyifli bir ortamda gerçekleşti. Engin bilgi ve tecrübesini güleryüzüyle bütünleştiren Turco iki saat boyunca oldukça güncel ve faydalı bilgiler verdi. Konferans soru-cevap bölümünün ardından Yrd. Doç. Dr. Ümit Kesim'in konuşmasıyla sona erdi. Öğrenciler ve tüm katılımcılarla hatıra pozları çektiren Turco'ya Okan Üniversitesi UBYO Müdürü Prof. Dr. Gül Günver Turan bir de plaket takdim etti. 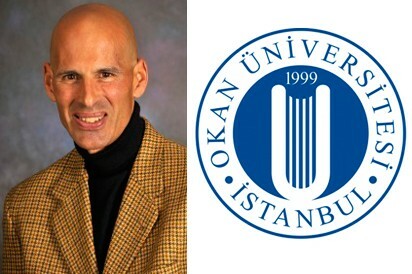 Douglas Michele Turco is Associate Professor of Sport Management at Drexel University (Philadelphia, USA). He is also founder and executive director of Drexel University's i-Team (International Sport Tourism Research co-Laboratory): http://goodwin.drexel.edu/iteam. Turco received the Ph.D. from the University of New Mexico and M.S. and B.S. degrees from the University of Wisconsin at LaCrosse. Prior to arriving at Drexel University, Turco was a professor of sport and tourism management at Illinois State University for 13 years, where he was named the University's Outstanding Teacher in 2002, and at DeSales University, where he received two teaching awards. Turco is also on faculty at the Rajiv Gandhi Indian Institute of Management, Shillong (India), IMC FH-Krems (Austria), National Taiwan Sport University, and special advisor to the Tourism Research Centre at the Prince Sultan College of Tourism and Business (Saudi Arabia). Turco teaches courses on sport event marketing, sport tourism, international sport management, and sport economics. He has authored over 40 articles in journals including Sport Marketing Quarterly, International Journal of Sport Management, Journal of Travel Research, and the Journal of Sport and Tourism. Among the books he has written are: Sport tourism, Sport and event marketing, The wide world of sport programming, and Assessing the economic impact of parks and recreation special events. Turco has also delivered invited lectures and research presentations at international, national, and state/provincial conferences in over 20 countries. Turco consults on sport and tourism planning, economic impacts and consumer market research for organizations worldwide. His current research involves the 2010 Delhi Commonwealth Games and 2010 FIFA World Cup. Recent studies include the 2009 U.S. Women's Open Golf Championship, 2009 Deaflympics, 2009 Pocono 500, 2007 Cricket World Cup, 2006 Torino Olympic Games, and 2005 Little League World Series. Turco's previous work includes a revision of the City of Cape Town events policy; an event impacts assessment model for UrbanEcon (with the Centre for Tourism Research in Africa); a report on universal accessibility for tourists with disabilities at sport mega-events; Market and economic impact research for the Albuquerque International Balloon Fiesta, Inc. Turco has also conducted citizen needs/interests assessments and focus groups for several municipalities in Illinois including Hoffman Estates, Morton Grove, Champaign-Urbana, Gurnee, Medinah, and Buffalo Grove.